Must See In Iceland - Your travel partner in Iceland. Thank you, but I already have tons of memories. I just need a ride to the Blue Lagoon or Keflavík Airport. Want to act like a native Icelander? Then follow our blog and we'll help you get local. 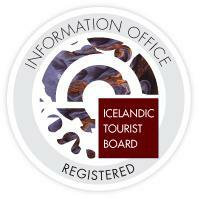 We are delighted to offer wonderful tours around Iceland. These tours are handpicked by us to ensure that you get the most out of your experience, with tours that we believe are the best that Iceland has to offer at any given moment. Now it’s just a question of what you’re interested in. Browse our tours below and create the vacation of a lifetime. We at Must See want you to visit Iceland but we are also determined on making your stay as lovely as possible. That is why our aim is to guide you through Iceland like a friend. An extremely good friend who tells it like it is. But with a dash of humor, because what is life without humor? Below are some fun facts about our strange country. The population of the whole of Iceland is 330.000 - roughly the same as the number of inhabitants in Coventry in England. Glaciers make up for 11,6% of the country, or 11,922 square kilometers. The biggest glacier is Vatnajökull, the largest glacier in Europe, covering 8100 square kilometers. Even though we are only 330.000 we still have 49 religious sects to choose from. Sports are the most popular past-time of children in Iceland. At the age of 12, eight of ten children in Iceland train at sports clubs. No wonder Sportacus is from Iceland! It rains a lot in Iceland. And we mean A LOT! The annual rainfall on the south coast is about 3000 mm. Iceland is the only country in Europe that bans strip clubs. Striptease was outlawed in the country in March of 2010.